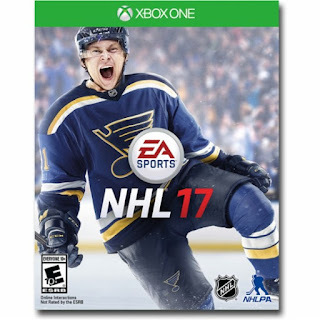 Today (8/30) ONLY - Best Buy is offering NHL 17 - PlayStation 4 or Xbox One Video Game for $14.99 (Retail $29.99). All-new game modes, new and deeper experiences in fan-favorite modes, and the best on-ice gameplay ever make NHL 17 the most exciting EA SPORTS NHL game to date. Live out your hockey fantasy in all-new Draft Champions and World Cup of Hockey game modes, own every zone with authentic goaltenders, new Net Battles on offense and defense, and bone-crushing Collision Physics. Shape your legacy in NHL 17. Numerous new game modes let you choose how and when to play as you take over a premier hockey franchise, and complete customization lets you decide everything from arena placement to the concessions. As you control the ice, listen to the roar of the crowd in NHL 17.